I agree, great article. “It’s bigger than basketball.” Despite what most of us may have thought previously, here’s an example of a successful transfer. We just need to remember to focus on what the student-athlete experience should be about. The transfer we need is coming friends! Les Miles is bringing him over, right? 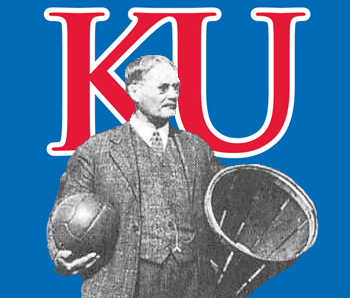 @kjayhawks We have no bench that can score. The game before is happening only once or twice a season. I was shocked that Garrett hit so many FT’s tonight. Usually about 50%. Overall we shot nearly 94% crazy. Also sounds like both Bragg and Martin could have the chance to be grad transfers like Hartzog or transfer down to a lower level to play right away if they don’t have the credits. I wish them luck but if you can’t make the 2 deep at Kansas, which I doubt any of these guys would have, your gonna have trouble playing for a D1 team. That being said best of luck to these guys in whatever they decide to do, I don’t blame for not wanting to ride the pine so late in their careers. Edit: Bragg is a injury issue as well according to LJW. Immediate Transfer Eligibility On The Horizon? @Kcmatt7 Too much potential to turn very ugly for programs and players. Bragg - Thoughts and Feelings? Sheltered? What, are we supposed to have–> comfort zones next to AFH, so when Self makes them cry? If thats the case, then womens ku team is tougher than the boys? Weak. Comfort zones are for toddlers, who havent grown a pair yet, right? Stupidest concept ever heard of. Pansies.